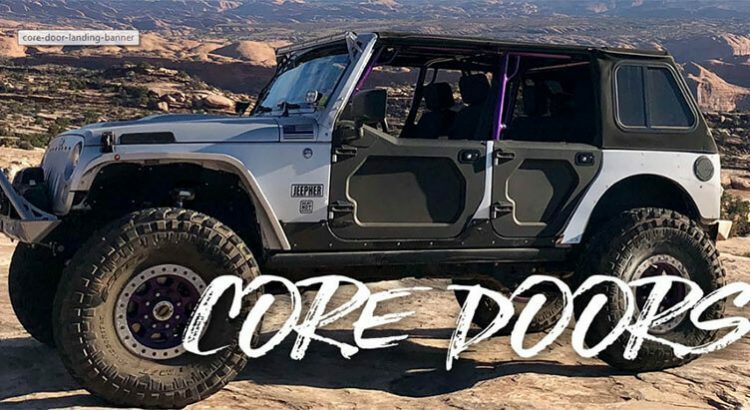 Boasting no-tools-required removable center panels, all-new Core Doors by Bestop are the first one-piece cast-aluminum door in the Jeep Wrangler aftermarket. 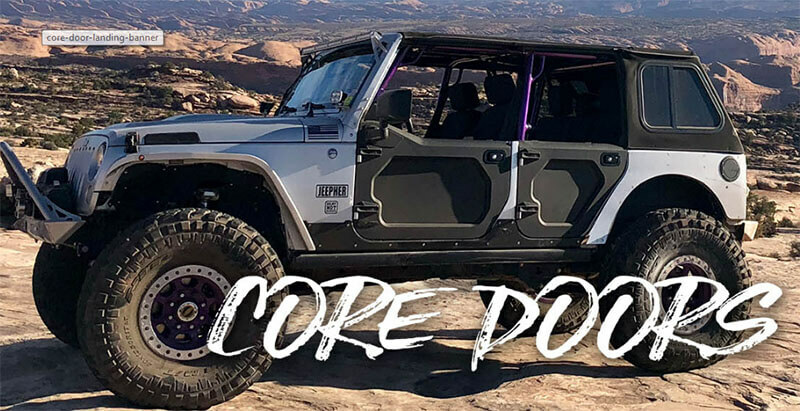 The Core Door is precision molded for a perfect fit and features forward release handles, locking latches, and OEM-quality straps to prevent the door from contacting (and possibly damaging) the Jeep body. Twill upper door halves available; applications for front and rear available (including in lower and upper bundles). Mirrors sold separately. Scheduled for an April delivery! 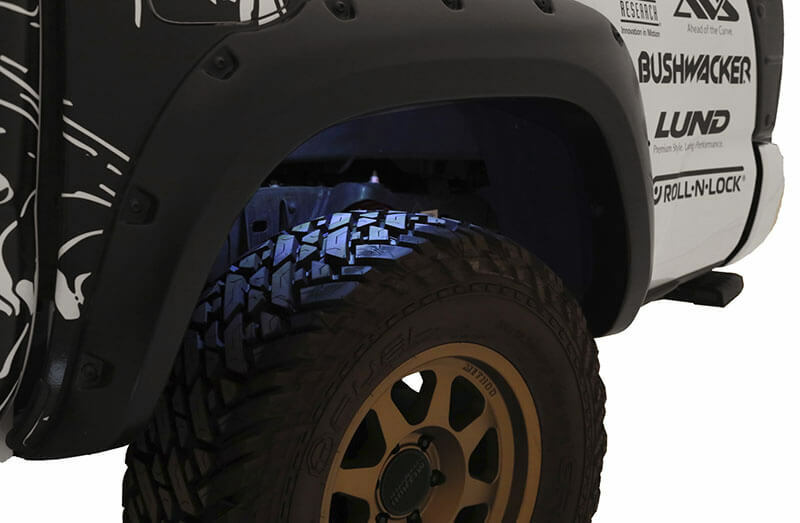 Fits 2007–2018 Jeep Wrangler JK (2- and 4-door). First one-piece cast-aluminum door in the Jeep Wrangler aftermarket. Precision-molded for a perfect fit. Forward release handles and locking latches for added security. Twill upper doors are easy to install. Made from a lightweight-yet-durable poly-plastic material, the new Wheel Well Toolbox from Dee Zee gives you the extra bit of storage you need without taking up precious space in your truck bed. A lockable lid keeps contents secure, while the universal design features a reversible lid for use on either side of the bed. Fits 6- and 8-foot beds without interfering with most truck bed covers. Fits behind the truck wheel well. Reversible lid for driver or passenger side access. Sturdy full-length hinge and lockable lift-up lid. Installation will not interfere with the operation of most tonneau covers. Dimensions/Capacity: 37” x 7.75” x 19.5”/2.2 cu. 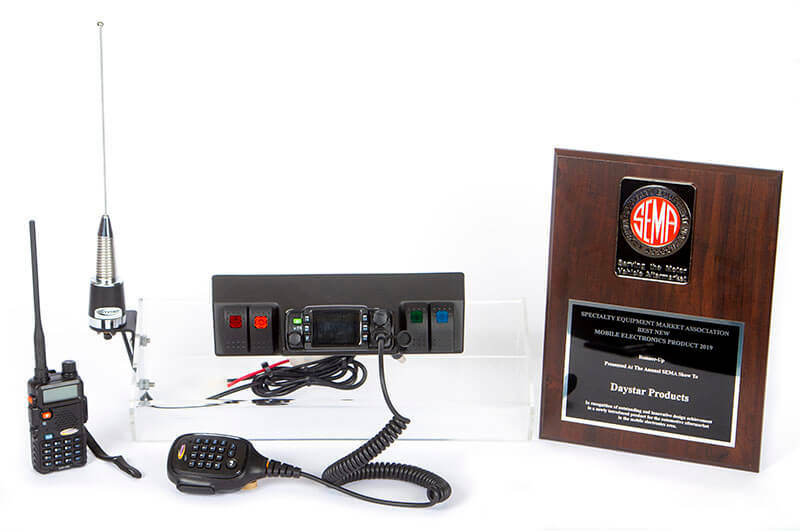 ft.
Runner-up in the SEMA 2019 Best New Mobile Electronics Product category, the KJ71061BK complete two-way radio kit from Daystar keeps you, your trail mates, and your spotter in constant contact. Built to resist water, dirt, mud, and off-road shock, this Daystar GMRS radio kit includes a custom mount that puts the radio above the rear view mirror and between the visors of your 2007–2018 Jeep Wrangler JK. FCC certified. 25-watt GMRS (general mobile radio service) sends and receives up to 13 miles. High-output, dual-band antenna, mount, and co-ax cable. Patent-pending Wrangler JK mount with four illuminated Daystar rocker switches. Handheld unit with 3-mile range for your spotter. Full-color display and easy-adjust functions. Listen mode for U.S. off-road racing frequencies, weather, and emergency channels. Mount will not obstruct rearview mirror. Built for tough off-road environments—water, dirt, mud, and shock resistant. The first combo transfer tank ever constructed from high-strength carbon steel and aluminum, this exclusive UWS innovation combines the strength of a 14-gauge steel tank with the light weight of a 0.08” aluminum toolbox—creating a product that weighs up to 100 lb. less than competing models with a steel toolbox and reduces the burden on your truck. UWS transfer tanks are built and tested for transporting non-flammable liquids—including diesel—to on-site vehicles and machinery. Whether you’re headed out to the field or driving to the construction site, a transfer tank dependably transports liquids such as diesel fuel; chemicals; solutions; or even water for cleaning, farming, and more. Featuring a smooth, milled finish—in contrast to the more common diamond plate—this L-shaped tank offers a unique look in your truck bed. ST-75-COMBO-MB features a matte-black powdercoat. Made right here in the USA, these UWS transfer tanks are fully pressure tested and come with a lockable, commercial-grade cap; integrated drain plug; and internal baffle for a smooth liquid transfer. 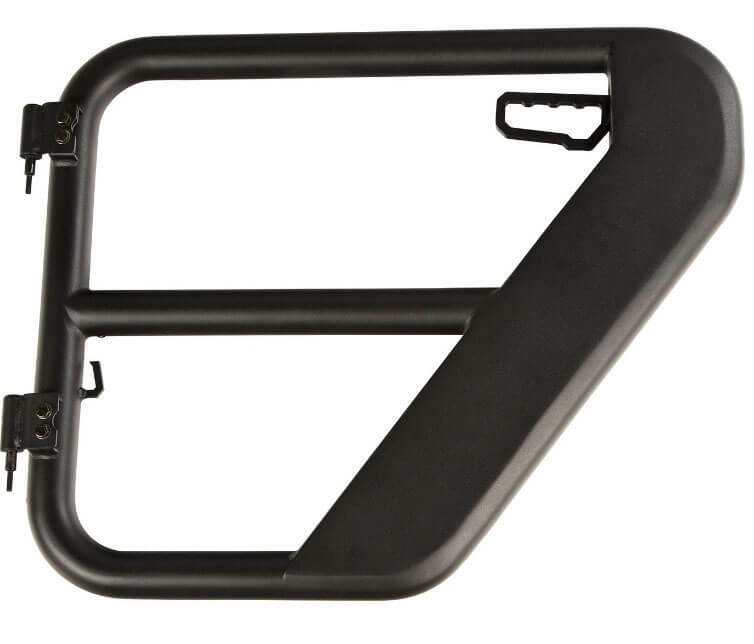 1/8” tabs are included for mounting in your truck bed, but mounting hardware is not included. DOT-compliant for Class 3 combustibles. 75-gallon steel tank and aluminum toolbox. Unique, smooth, matte-black finish offers a sleek alternative to diamond plate. Transfers diesel or other non-flammable liquids to on-site vehicles or equipment. Lockable, commercial-grade vented cap with reinforced collar for added security. Built-in drain plug for easy and complete emptying as needed. 1/8” steel tabs for a solid install and built-in lift hooks for easy relocation (mounting hardware not included). Internal baffles for extra strength and an even flow of liquid. 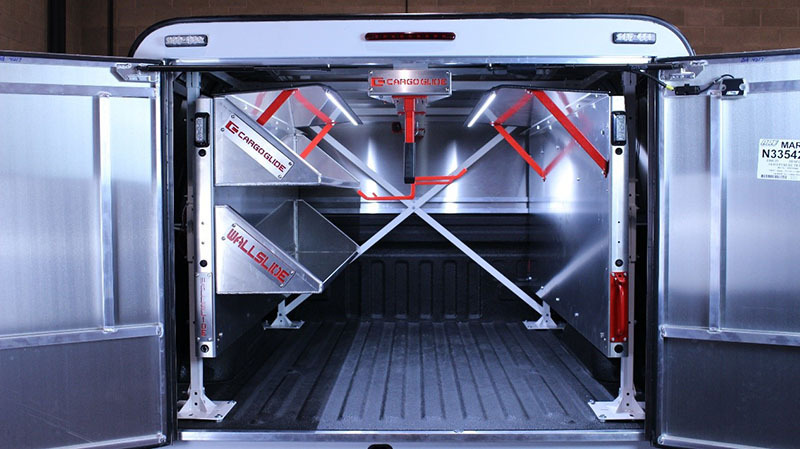 Built-in toolbox provides added storage without reducing truck bed space. Patented RigidCore foam-filled lid maximizes strength and prevents binding. 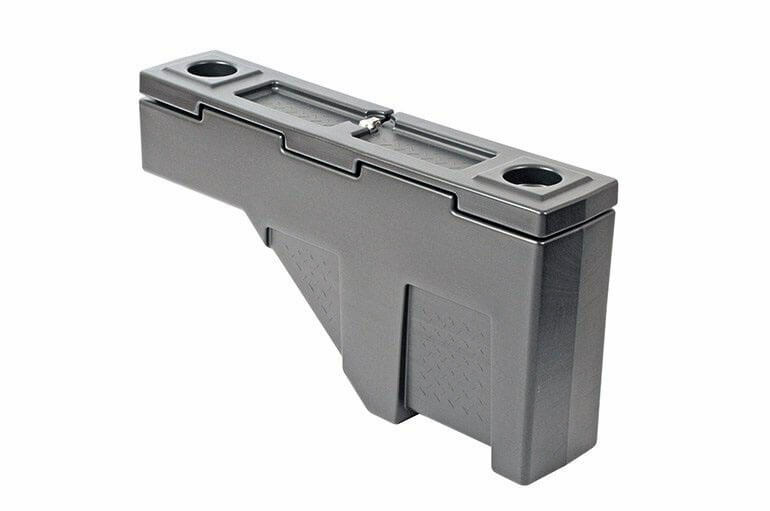 Stainless steel lock handles with connecting rod for operation from either side. MicroSeal gasket helps seal out moisture, dust, and dirt. Lid self-opens to 90 degrees and self-closes for convenient operation. Via mail-in form or online. Offer good February 1 to June 30. Click image for printable form and complete details! With the Truck WallSlide system from CargoGlide, you won’t have to worry about getting in and out of the back of your truck ever again. 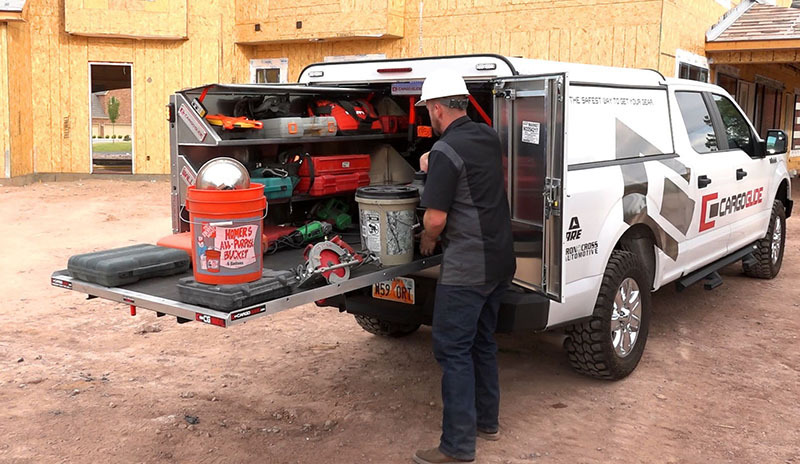 The Truck WallSlide provides a more efficient way to store and access a diverse array of tools, equipment, and packages—in addition to avoiding unnecessary injury. 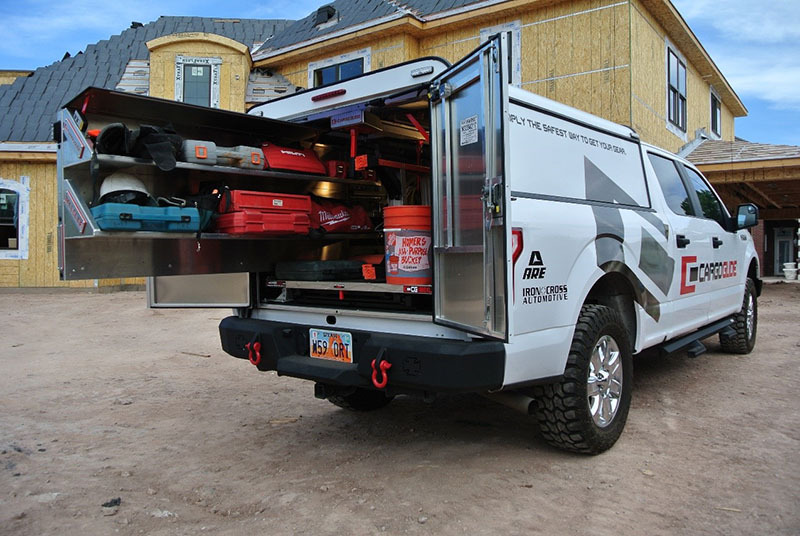 The system’s steel framework mounts to the inside of various truck applications; you can even add a weather canopy to keep your tools safe from rain and snow. CargoGlide Truck WallSlides feature aluminum walls that slide out manually or with the push of a button—the smooth motorized racks extended at average chest height. They are sold bare, allowing you to customize them with shelving, bins, and containers to fit your specific needs. For a complete storage and retrieval system, consider adding a rolling CargoGlide tray to your truck bed and a sliding ceiling canopy. You can even light up your load with bright LED strips to more easily find tools in the dark. Each wall boasts a 500 lb. capacity and improves vehicle safety, efficiency, and cleanup. Take some of the work out of work with a Truck WallSlide! 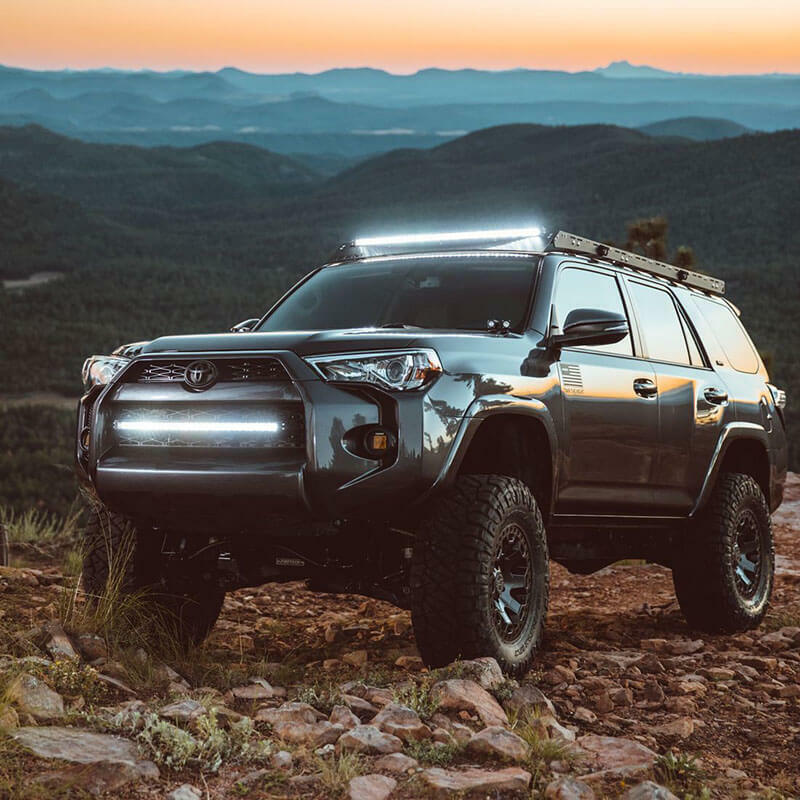 By taking an E-Series light bar and treating it to a gentle arc, RIGID Industries created the patented RDS SR-Series light bar, which provides a sleek look that integrates beautifully with the curved windshields, bumpers, and grille inserts of today’s trucks and SUVs. The RDS-Series PRO enjoys an improved light output of up to 70% more raw lumens, allowing it to do even a better job of projecting more usable light on the road ahead. The curve is for more than just looks, too: it’s also functional. The arc provides a wider spread of LED light for unmatched lighting coverage from a single light bar. RIGID RDS SR-Series PRO light bars feature a quality extruded-aluminum housing, an unbreakable polycarbonate lens, and updated branding. Available in two colors (Black and White) and five lengths (20”, 30”, 40”, 50” & 54”). Sleek, curved design complements today’s modern vehicle profiles. Up to 70% more raw lumens than the original RDS SR-Series. Project more usable light ahead of you in a wider spread. Lengths: 20”, 30”, 40”, 50”, and 54”. Plug-and-play NIGHTFX Guide Lights from LUND tie directly into your vehicle’s OBD port to eliminate the need for additional wiring and to provide anywhere-installation to meet a range of lighting needs (in the truck bed, in wheel wells, under nerf bars, and so on). Activating via factory key fob or when any door vehicle is opened, the lights remain on for 30 seconds before fading off. Made in the USA and sold in sets of four, LUND NIGHTFX Guide Lights are backed by a 3-year limited warranty. Power comes from the OBD port—no extra wiring required. Lights respond when you press the unlock button on your key fob or open any door. Bright LEDs provide extra visibility (15 lumens each) across a large surface area. Sleek low profile allows anywhere-installation: under nerf bars, in wheel wells, truck bed, etc. 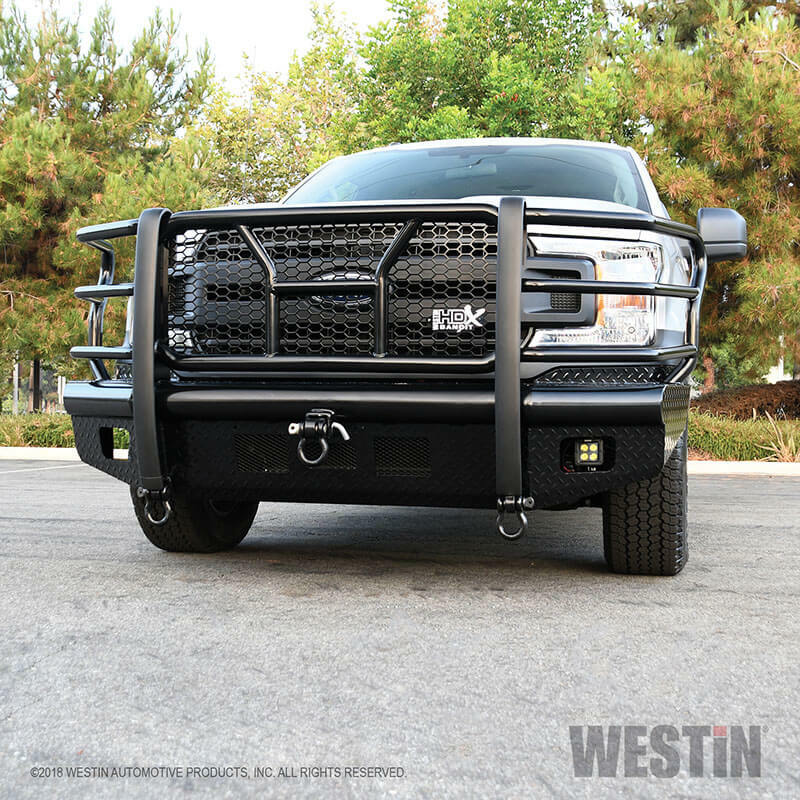 Headlined by a stylish metal honeycomb mesh screen, the new HDX Bandit bumper from WESTiN is engineered to guard your truck’s front end—headlights, grille, hood, and front fenders—from road hazards both expected and unexpected. Protected by a black powdercoat, the HDX Bandit’s heavy-duty diamond-plate steel construction features schedule 40 pipe, grille guard with 2” outer wraparound wings, and 2-3/4” upright rubber strips. In addition to its head-turning good looks, the honeycomb screen allows maximum airflow to the intercooler or radiator area. 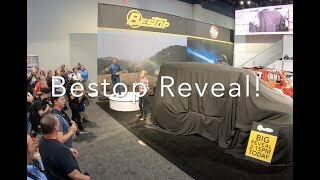 WESTiN gave the Bandit a 2″ hitch receiver and two heavy-duty (9,500 lb.) bow shackle mounts; together, these can deliver multiple towing options. Compatible with factory fog lamps or LED post mount lights. Bolt-on installation with hardware and mounting brackets included. Note: Removable mesh screens allow for the factory camera and adaptive cruise control options available on some late-model Ford applications. In addition, some applications for late-model Ram and Chevrolet have provisions for factory parking sensors. Protects against damage from wildlife and road debris. Heavy-duty diamond plate steel and schedule 40 steel pipe. HD 2-3/4” wide upright rubber strips and 1-1/2” headlight-protection tubes. 2” tube full-wraparound wings tie into bumper. Metal mesh screen allows maximum airflow to intercooler or radiator. Built-in 2″ receiver hitch and 2 HD 9.5K lb. bow shackle mounts (15/16” shackle mount hole). 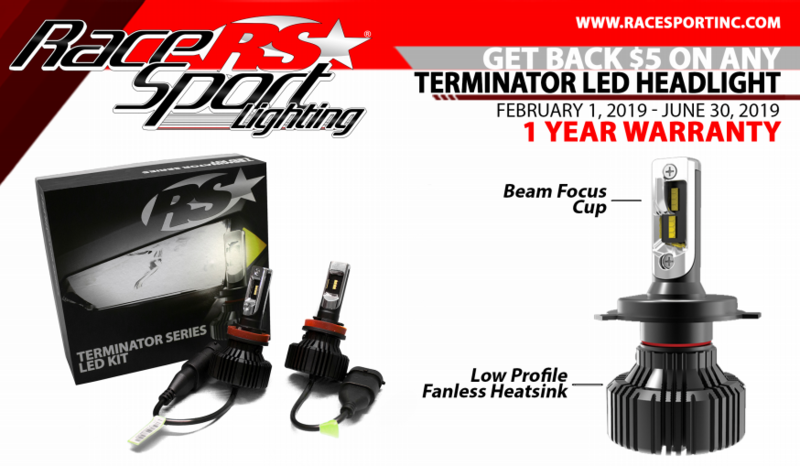 Compatible with factory fog lamps or LED post mount lights. Mounting provisions for license plate. Custom die-cast riveted logo badge. No-drill, bolt-on installation; hardware and mounting brackets included. front fenders—from road hazards both expected and unexpected. With single-tube styling and a contoured latch plate, Rugged Ridge rear tube doors for Jeep Wrangler JL add a classic off-road accent to what is already a trail-ready powerhouse. The 11509.14 doors boast 50 mm OD steel tubing, are protected by a textured-black finish, and are fully welded for rugged, rattle-free performance. Each door arrives fully assembled, with a secure rotary latching mechanism and factory-style hinge pins for a fast and easy installation. For 2018–2019 Jeep Wrangler JL Unlimited. One-piece, textured-black 50 mm OD steel tubing. Fully welded for rugged, rattle-free performance. Factory-style hinge pins for an easy installation.